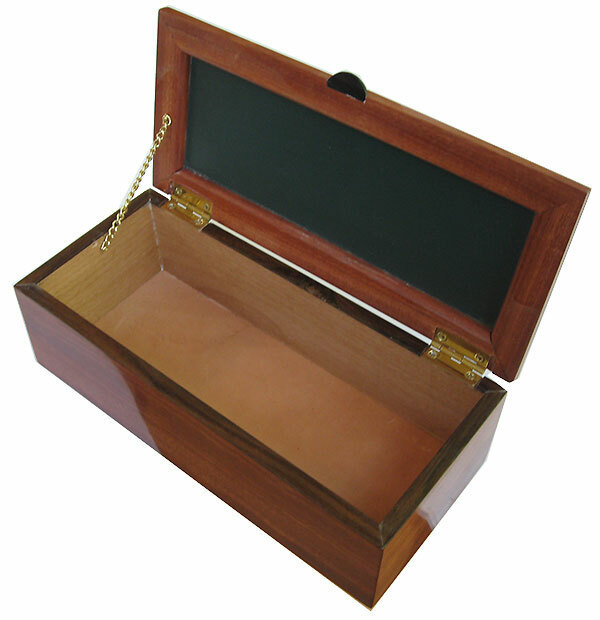 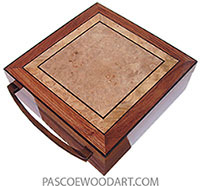 12" x 5-1/4" x 3-3/4"
11" x 4-5/16" x 2-13/16"
This bevel top box is made of 1/8" shop-sawn thick bloodwood veneer laminated over alder. 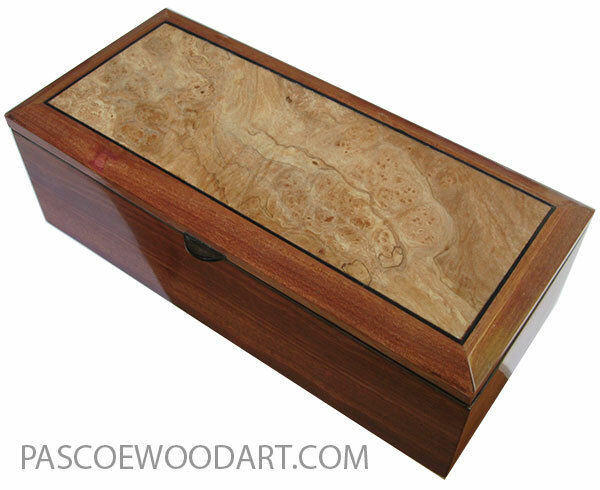 Bloodwood, a.k.a. 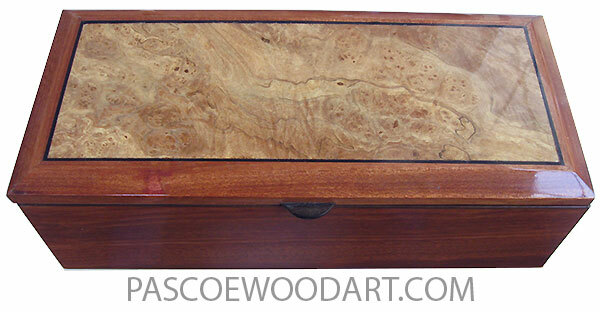 Satina, is a tropical hardwood, chiefly from Brasil. 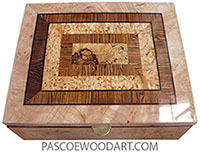 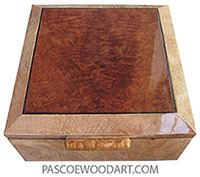 Beveled top is spalted maple burl , bleached to achieve uniformity of color, with ebony string. 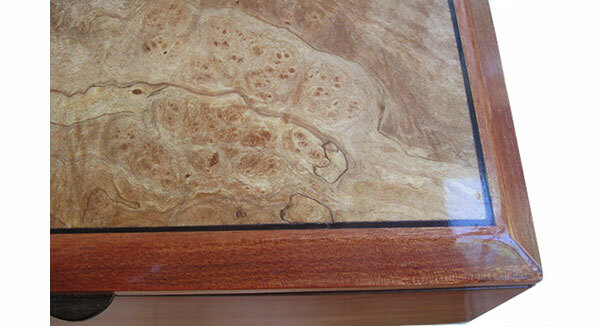 Beveled top is spalted maple burl , bleached to achieve uniformity of color, with ebony stringing.